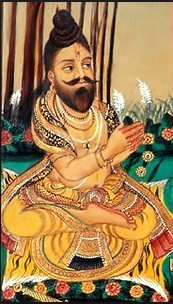 Swami Alavandar is Yamunacharya, Yamunai Thuraivar or Yamuna Muni, the grandson of Sriman Nathamunigal who revived the Divya Prabandhams. 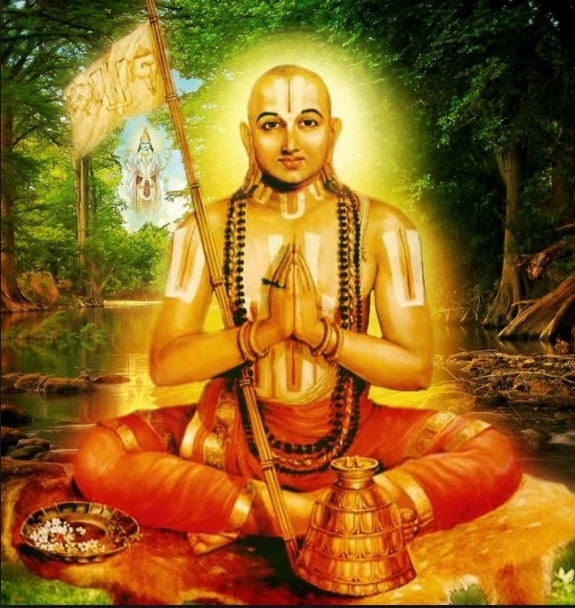 He is the Paramacharya of Swami Ramanuja. It can be said that all succeeding acharyas merely followed the path shown by Swami Alavandar. There is nothing they said anew which Swami Alavandar had not already stated. Those who have studied the works of various scholars would easily declare that there is no genius or intellectual like Swami Alavandar before and there is going to be none in the future – श्रीयामुनार्यसमो विद्वान् न भूतो न भविष्यति| He is also the Lord of ascetics as Thiruvarangaraththu Amudhanar notes – எதிகட்கிறைவன் யமுனைத்துறைவன். “We are not merely poets; we not merely scholars of Agama tantras. We are equally capable of quelling the arrogant trumpets of the elephant-like prativadis (opposing debaters).” The learned would know that these are not words of pride but mere statement of fact. The philosophers of our tradition have composed numerous Sanskrit works establishing our principles on the basis of commonly accepted scriptures. In these works, we do not find direct quotes from the works of the Azhwars. This is primarily because of the scope and reach of the philosophical discussion. However, in their sampradaya texts directed towards Srivaishnavas exclusively, the acharyas make their sources clear by referring to the works of Azhwars or by praising the Azhwars through their hymns. The devotion of Swami Alavandar towards Swami Nammazhvar is evidenced by the fifth verse of Stotra Ratnam – माता पिता … In this hymn, Swami Alavandar does not mention the name of Swami Nammazhvar directly. Instead he employs the epithet – आद्यस्य नः कुलपतेः – The foremost and the leader of our (prapanna) clan. The identity is clarified by the use of the word वकुलाभिरामम् – decorated by Vakula flowers. This identification is provided by Azhwar himself as நாட்கமழ் மகிழ்மாலை மார்பினன் மாறன் சடகோபன். Later acharyas too have praised Azhwar employing this identification, such as वकुलाभरणं वन्दे जगदाभरणं मुनिम्. The reference to Azhwar as आद्यस्य नः कुलपतेः confirms that Azhwar is the highest in the clan of acharyas in the lineage of Swami Alavandar. The Srivaishnava Guruparampara shows that Swami Nammazhwar is succeeded by Swami Nathamuni and then by Swami Alavandar. In Stotra Ratnam, Swami Alavandar commits the first three verses to sing the glory of Swami Nathamuni. In the fifth verse, he sings the glory of Swami Nammazhvar. 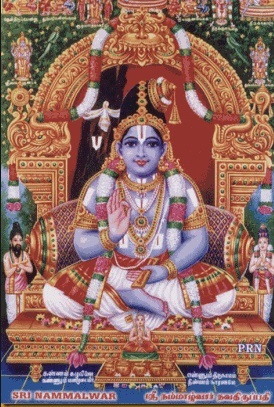 But in between the first three verses and the fifth verse, Swami Alavandar composes a verse on Sri Parasara Maharshi, the teacher of Sri Vishnu Puranam. नमो मुनिवराय पराशराय. A doubt can be raised about the order of verses. 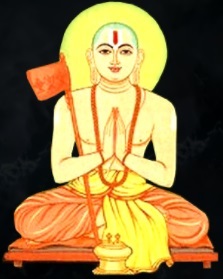 Either, Swami Alavandar should have praised Sri Parasara Muni at the very outset as a representative acharya of Sanskrit Vedanta and then praised Swami Nathamuni as his acharya and Swami Nammazhvar as the head of his Guru Parampara; or he should have praised Swami Nathamuni and Swami Nammazhvar at the outset and then praised Sri Parasara Muni. Placing Sri Parasara Muni in between Swami Nathamuni and Swami Nammazhwar is very strange. We do not find any of the acharyas adopting this order in their works. Why does Swami Alavandar adopt this ambiguous order while praising the former acharyas? Our elders also say that since Swami Nammazhwar is a part of the Lord Himself being the station of His lotus feet, Swami Alavandar commences the praise of the Lord (which is the subject of Stotra Ratnam) at His lotus feet by praising Swami Nammazhwar. 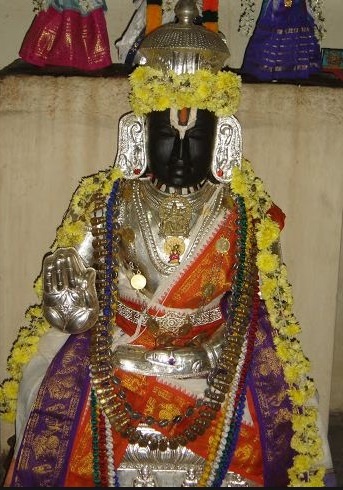 कः श्रीः श्रियः (12) and श्रियः श्रियम् (45) reflect Thirumangai Azhwar’s திருவுக்குந்திருவாகிய செல்வா. In the 38th hymn, the words गुणेन रूपेण विलासचेष्टितैः सदा तवैवोचितया तव श्रिया is an explanation of Azhwar’s உனக்கேற்குங்கோலமலர்ப்பாவைக்கன்பா. The fortieth hymn, निवास-शय्यासन is a close shadow of Poigai Azhwar’s சென்றால் குடையாம். The core principle of வளவேழுலகு decad of Azhwar is brought out through धिगशुचिमविनीतम् (47). Azhwar’s “எனதாவிதந்தொழிந்தேன் … எனதாவியார் யானார் தந்த நீ கொண்டாக்கினையே” are reflected in वपुरादिषु(52) and ममनाथ(53). In the 56th hymn, Swami Alavandar refers to Azhwars as महात्मभिः and speaks of their experiences in ஒருநாள் காணவாராயே, நம்மை யொருகால் காட்டி நடந்தால் நாங்களுய்யோமே, எம்மாவீட்டுத்திறமும் செப்பம் and other similar hymns. Azhwar’s ஏறாளுமிறையோன் decade is explained through the 57th hymn न देहं न प्राणान्. This single hymn is a summary of the entire decad of Azhwar. It stands established that Swami Alavandar held the Divya Prabandham as the reference for his works. This entry was posted in Dramidopanishat on February 2, 2018 by brd01.